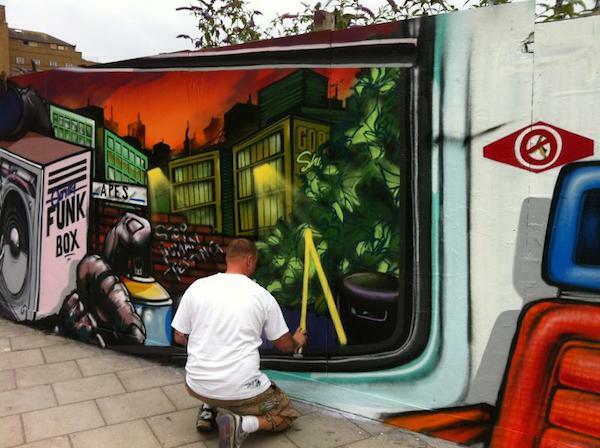 Graffiti artists are working up a sweat in Shoreditch, all in the name of that tequila flavoured beer Desperados! 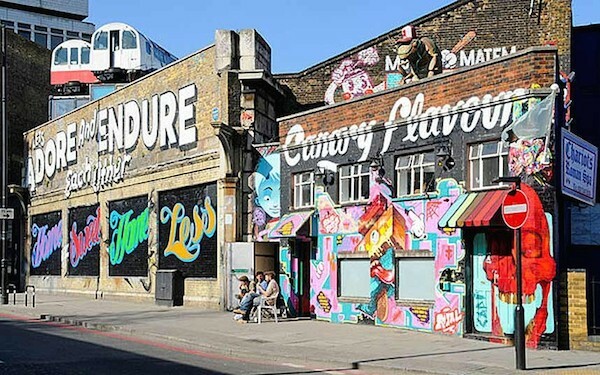 Shoreditch in London is a colourful and vibrant hub of cool where artists can go to express themselves upon the city walls with spray paint! There is nothing more exciting than seeing a graffiti wall being transformed from a blank canvas to something extraordinary! 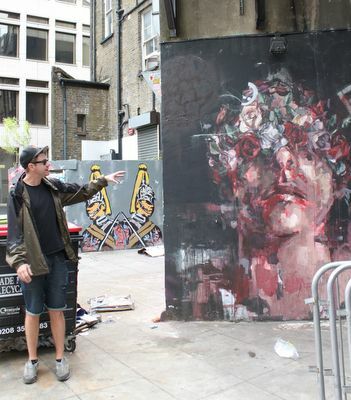 What if the art that is emerging throughout the day is linked to your brand? What if it screams your brand culture!? Well that is a very clever way to get people interested in your campaign and absorbing your culture. Standard billboards have been done millions of times before. People rushing about their daily business rarely have time to glance up to take in the message. Graffiti wall’s are different! I have seen it for myself! With graffiti walls you are not just placing a perfectly printed advert onto a wall you are setting a scene, you are growing a message. It is a process, People passing by your site are invited to be curious and they really can’t help themselves! We have developed an aversion to being advertised to but if you offer art, interesting and cool art, then you are providing a very different experience to your customer! 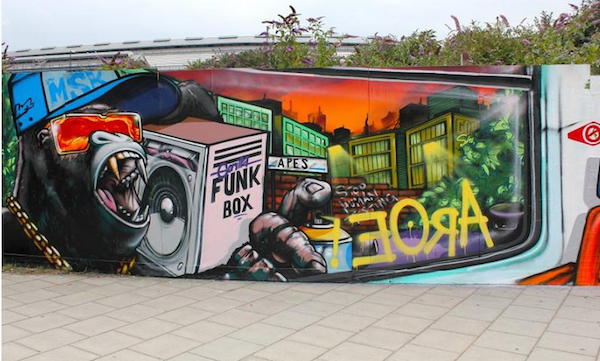 Here is the deal with graffiti art; depending on the size of the site that you have chosen for your design, the lead up to your ‘reveal’ can last up to two weeks. Even if it is a one day thing or one whole week you will have people passing by on their way to work, on their way to the shops, looking out the bus window, all wondering “what is that going to be!? What is that! ?” You are instantly and naturally drawing people in. People care a lot less about being ‘advertised to’ when it is something genuinely interesting and creative. By the time the final reveal is there the campaign as already worked it’s magic! People will stop to take pictures of graffiti art and they will appreciate the hard work that has gone into it by some very cool individuals. Good creative is key here, if you don’t have an interesting idea for a wall mural then you could be missing out on the final reveal wow factor. If you don’t have a good idea then get someone else to come up with one! Here at Street Advertising Services it is our job to know what is sharable, we understand what your audience will pick up on and ‘like’ across the spectrum of social media platforms. 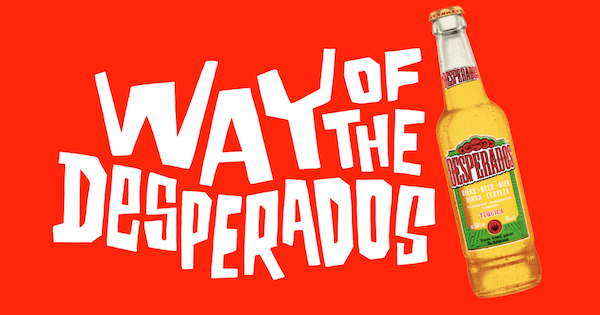 A recent campaign we did for the beer brand Desperados is an extension of their campaign titled ‘Way of the Desperados’. 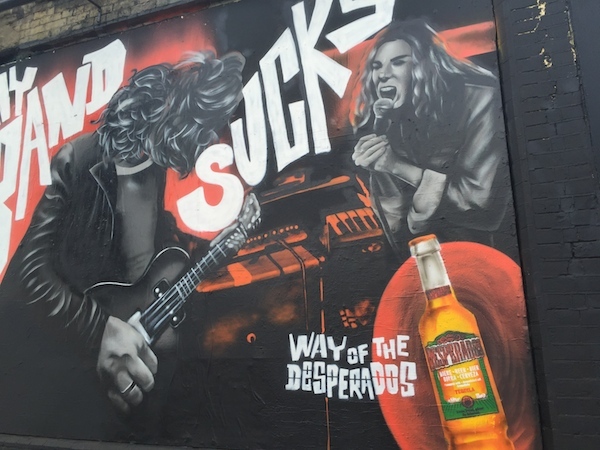 This campaign wanted to highlight the fun and extroverted personality of it’s brand image and how this can imprint onto the people who like to enjoy a Desperados beer. 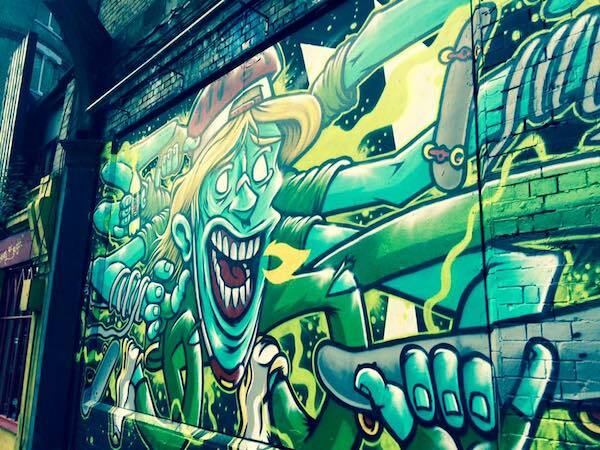 We decided to spend 18 hours creating four graffiti wall murals in Shoreditch. This is a busy and vibrant area with a lot of foot traffic and loads of passing cars and busses. 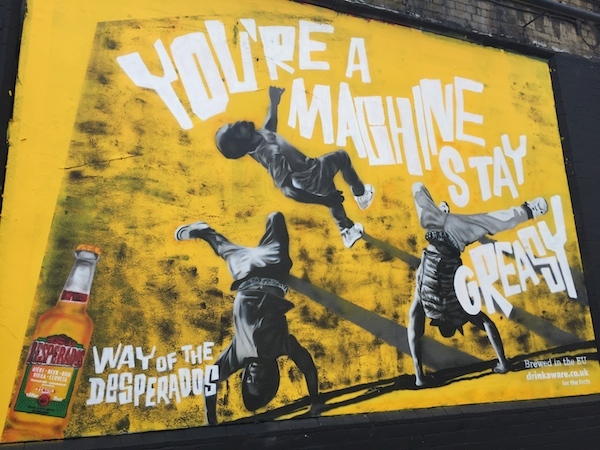 Our graffiti artists started out early in the morning and worked hard throughout the day up until late evening to complete 4 stunning wall murals that celebrated the ‘Way of the Desperados’. We were stopping traffic all day as people were leaning out of their car windows to get a better look at our artists at work. People were stopping in the street to ask what was going on and to take a few snaps on their smart phones. We even noticed a few professional photographers rock up with their digital SLRs! 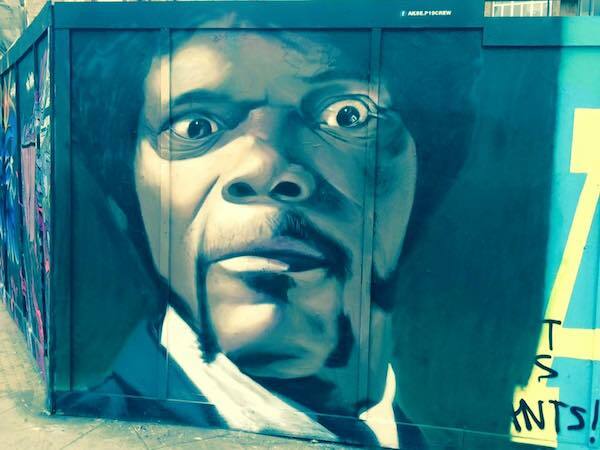 That is the beauty of a graffiti wall mural! There are not many people who wouldn’t be excited and intrigued by an emerging piece of art! The presence of the graffiti artists being there and sweating it out right in front of your target audience adds a really unique element which is a cut above the average billboard. People create their own stories about who these talented, almost untouchable artists are. 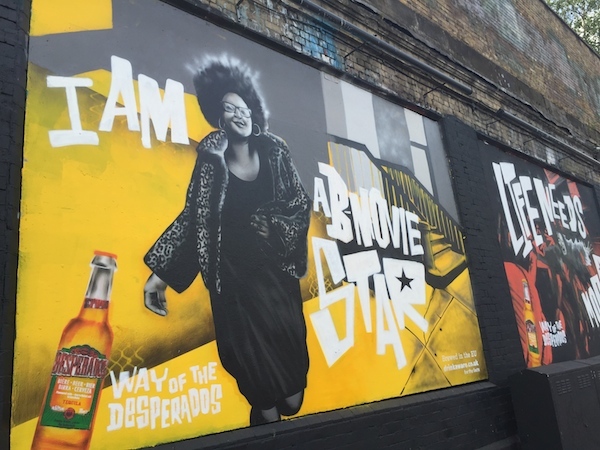 For the Desperados campaign we documented the creation of the graffiti wall from start to finish using a time lapse camera and an onsite videographer. Once the project was a done we edited the video footage together to create a highly sharable video for social media. So your customers don’t have to be full time Shoreditch hipsters to see the progression and outcome of your campaign. 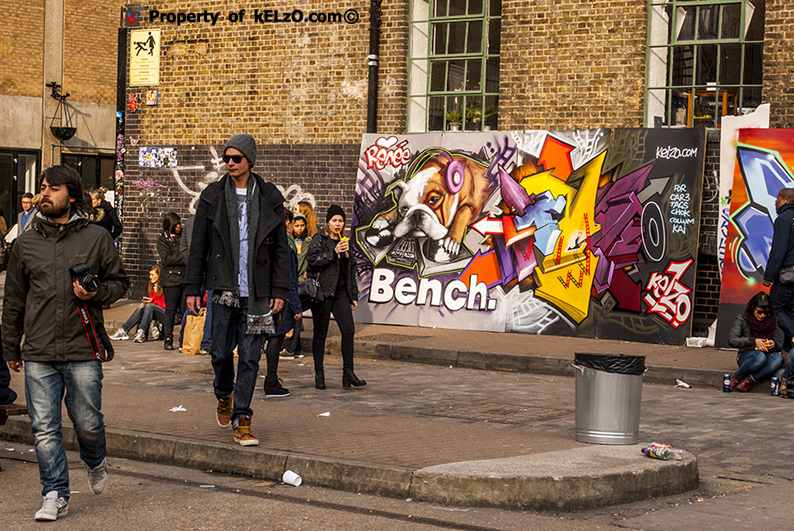 Graffiti is no longer seen as anti-social or a crime when it is well thought out and organised . 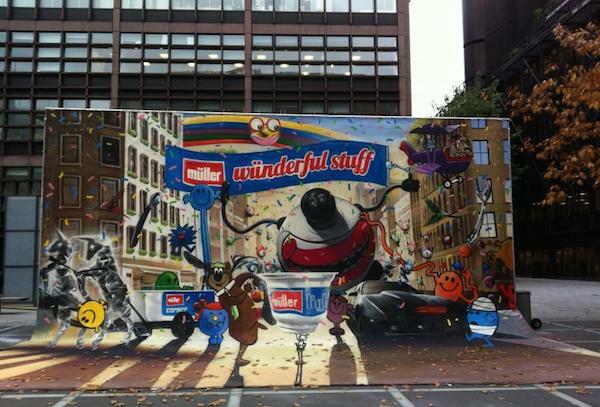 Graffiti can now be used to get you noticed and raise brand awareness. It has such a fantastic social sharing element to it. You are guaranteed organic shares prom the general public and of course there is a world of content waiting to be created from your own team. Pics of the work in progress can draw attention online and of course the finished product will be widely appreciated on Facebook and across blogs. As an extension you can create a call to action with hashtags and tweets. Creating a cool video of the campaign makes the finished product more real to the people out there and gives them a chance to see what a real life professional graffiti artist looks like! Going experiential can feel like quite a challenge and not everyone feels comfortable taking a risk in this way however by not taking a creative risk you could be missing out on important new ways to reach your target audience. Getting likes and shares via social media is the new way to connect in a measurable way with your target audience. You are not going to get those likes and shares if you don’t come up with interesting content. Content is key! Would you rather stare up at a generic billboard or would you rather watch a bespoke piece of art emerge on the walls of your city created by interesting individuals? The answer is obvious. So what have you got to loose? Do you want to turn your brand message into a bespoke piece of art? Get in touch with our team for a free consultation now. Even if you are not sure, it will not be in any way a sales conversation, we just really like to chat about what we do!